Reusable Christmas gift bags are eco-friendly and pretty! Instead of throwing away wrapping paper and ribbon this Christmas, make your own reusable Christmas bags that you can use year after year. 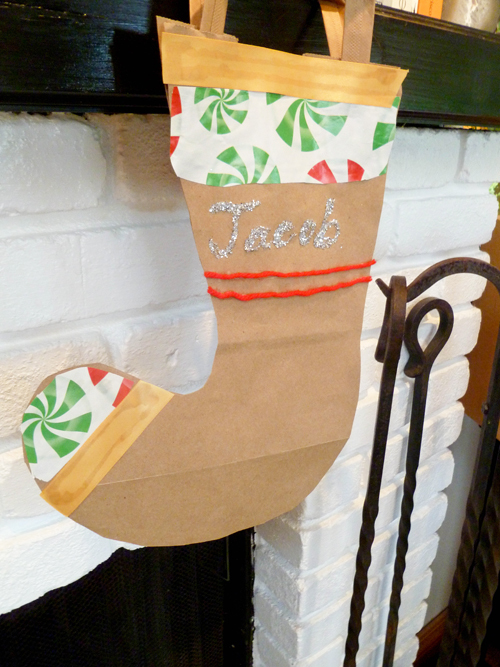 You and your child can create eco-friendly reusable Christmas bags to wrap your Christmas gifts in! Knowing how to sew is helpful, but not necessary to complete this activity. Make a batch of reusable Christmas gift bags for your friends and family this holiday season. 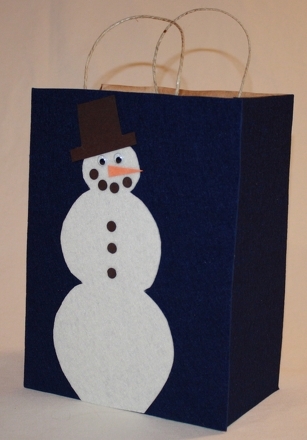 Use the paper grocery bag as the model for your gift bag. 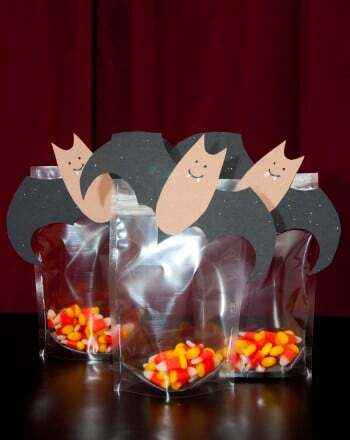 You can trace the five sides of the bag onto the felt with a marker, and then cut them out. The felt you use now will be the base of the design for your bag, so think about the colour. Glue the felt onto the paper bag one side at a time, making sure each side dries thoroughly before you add another plane of felt. The paper bag will become the inside lining of your bag, but you should not be able to see it from the outside as the felt should cover all sides of the bag from the outside. Finish your design with the remaining felt pieces. Your child can cut out three white circles for a snowman or a green tree or colorful boxes that look like presents. For a simple design, cut out strips of a complimentary colour and glue them on the base felt for a striped pattern. You could also cut out various sized circles for playful polka dots. Glue semicircles of twine onto the inside top of the bag for handles and let dry. When you put the gifts inside the bag, use newspaper instead of tissue paper to cushion it for a truly eco-friendly creation! 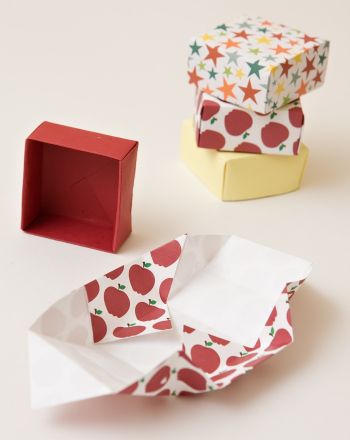 Help your child make the next gift she gives extra special with a hand made gift box. If Christmas were a person, what would he or she be like? 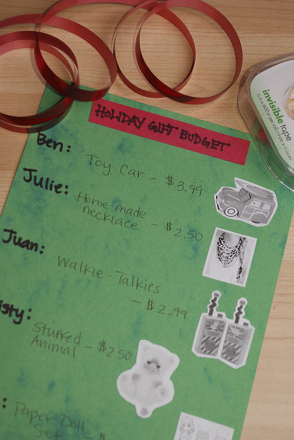 Have some fun crafting the ultimate holiday character with this Christmas writing prompt! 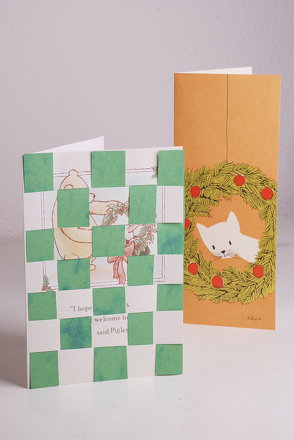 Reuse old Christmas cards by showing your fourth grader how to weave strips of them together to create new and unique woven holiday cards!